Welcome to our unique yoga therapy community. We look forward to using this space to provide you with helpful resources about the many benefits and uses of therapeutic yoga. Each one of our yoga therapy classes at our studio in West Hartford is geared towards guiding you on your personal journey towards peace and healing. We approach life holistically and believe that therapeutic yoga can enhance every corner of your life. Whether you suffer from chronic pain, or you have recently walked through a difficulty, yoga therapy can be the perfect way to release pain and find alternative healing. Stay tuned to this blog for updated insights into yoga therapy and to learn more about the array of benefits therapeutic yoga can provide. These are just a few of the many conditions yoga therapy can help to combat. Our goal is to help you find true and long term relief by enhancing your well-being and energy. For many who are seeking mental health therapy, our yoga classes deliver the healing for which they yearned. Instead of living with chronic depression or anxiety, those who attend our classes take control of their life journey and find their own unique path to healing. Stay tuned to this blog to learn more about the unique ways yoga therapy can provide healing for these conditions. If you are interested in joining us for yoga therapy, you may wonder what you should expect. First, expect us to be welcoming to all. It does not matter if you are completely new to yoga or you have years of experience, our space is inviting for every level of expertise. We will work with you to choose the right yoga therapy class for your needs. Next, you can expect us to use specific poses and breathing techniques to improve the alignment of your spine and joints. We also will implement movement, breathwork, chanting, meditation, and philosophy to bring you into a healthier state of being. At Kula Yoga Therapy, we focus on holistic therapy for your body, mind, and soul. 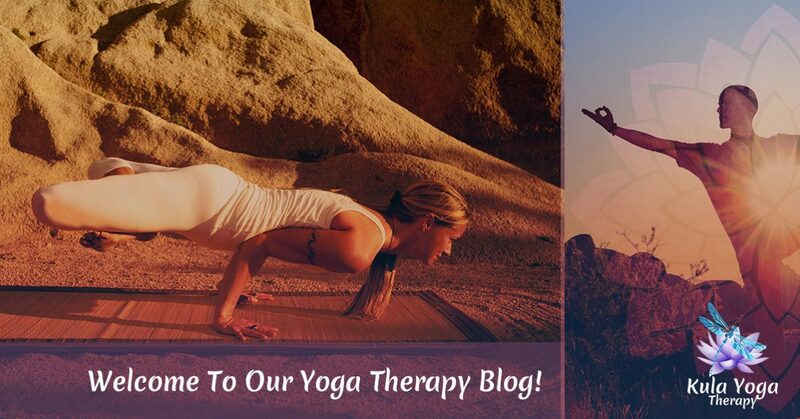 Stay tuned to our blog for more information about therapeutic yoga, and reach out today to our friendly staff to learn more about yoga therapy classes in West Hartford.